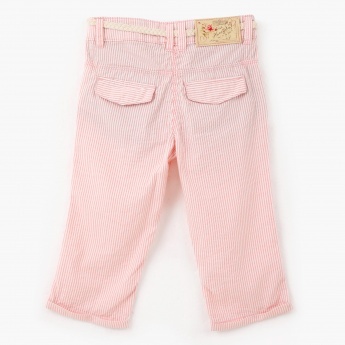 This attractive pair of shorts makes an alluring addition to your child's closet. It comes with an all over striped print adding to its charm. The sleek belt enhances its style and utilitarian quotient.